Ataturk Olympic Stadium, in Turkish Atatürk Olimpiyat Stadi, is the largest stadium of Turkey. It takes its name from Mustafa Kemal Atatürk, founder of the Republic of Turkey, and is the home stadium of football club Istanbul BBSK. Construction of Ataturk Olympic Stadium began in 1999. The stadium was built to serve as the centrepiece of the 2008 Olympic Games, however the Turkish bid failed to get sufficient support. Subsequent bids to get the Euro 2012 or 2016 tournaments, during which the stadium was supposed to host the final, also failed. Ataturk Olimpic Stadium officially opened on 31 July 2002 with a friendly match between Galatasaray and Greek side Olympiacos. In 2005, the stadium hosted the 2005 Champions League final, in which Liverpool beat AC Milan on penalties after having drawn 3-3 in regular time. One year later, in 2006, Istanbul BBSK made the stadium their permanent home, but moved away again in 2014 to Fatih Terim Stadium. Earlier during the 2003-04 season, Galatasaray had played their home matches at the stadium due to construction works performed at their Ali Sami Yen stadium. Besiktas furthermore occasionally made use of the stadium while their Vodafone Arena was getting rebuilt. Ataturk Olympic Stadium is located on the north-western edge of the city of Istanbul at more than 20 kilometres from the city centre. It lies adjacent to the O-3 motorway. 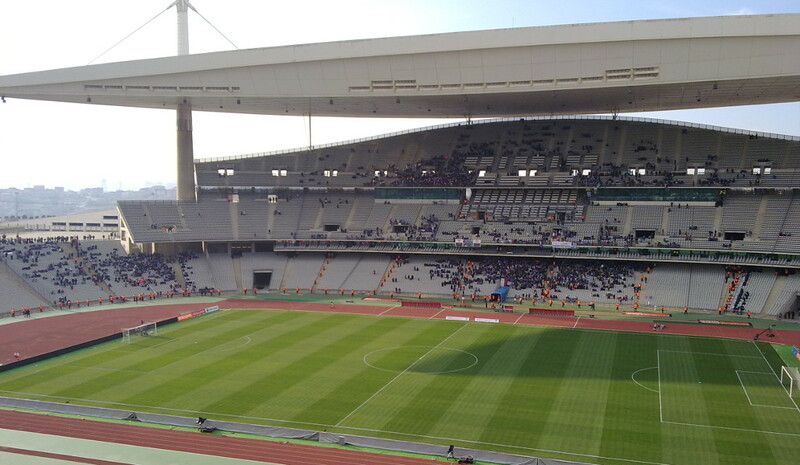 The stadium is since a few years connected to Istanbul’s metro system with line M3 bringing you straight to the stadium. Olimpiyat station is on line 3 that runs in the north of Istanbul. From most central destination at least two transfers are required. 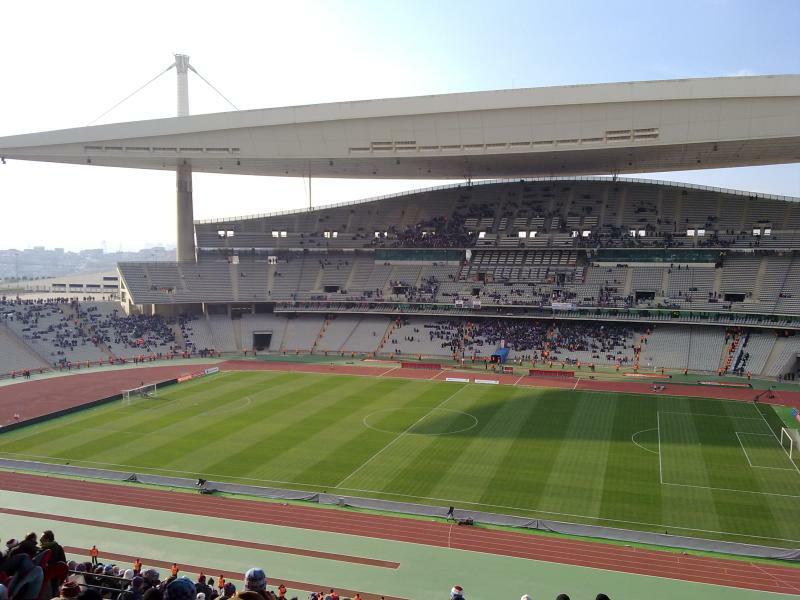 Ataturk Olympic Stadium is located far out of central Istanbul in a semi-urban area alongside a motorway. There is not much around, so do your eating and drinking in Istanbul’s city centre. There are neither any hotels near the stadium, but if you come just for the match and have no interest in sightseeing Istanbul, then getting a hotel along the motorway between the airport and the stadium might be convenient. There is a Holiday Inn not too far from the stadium and a Courtyard by Marriott a little further away. Taxis will furthermore be cheaper and quicker from here than from the centre. Click here to use the Atatürk Olimpiyat Stadi as a start to browse for hotels, here for hotels near Istanbul airport, and here for hotels in central Istanbul. Istanbulbbsk.org – Official website of Istanbul BBSK. Ataturkolimpiyatstadi.net – Official website of Atatürk Olimpiyat Stadi. IETT.gov.tr – Istanbul public transport information and route planner.